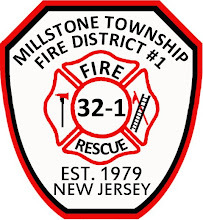 The Millstone Twp Fire Prevention Bureau recently introduced a new program targeting fire safety for barns. The Bureau has been offering a Home Inspection Program since 2006 and this new program is an expansion. Our team of trained inspectors will provide a walk through of your barn, identify potential fire hazards, make recommendations to correct hazards, discuss various fire protection options, and discuss evacuation plans. This program is free for any township resident. Those interested can contact the Bureau at (609) 259-2560 between the hours of 6 am and 6 pm, 7 days a week.